For the first time ever in Ireland an Institute of Technology conferred MAs in Applied Spirituality on 20 graduates as well as a PhD in spirituality on a graduate of the MA in Applied Spirituality when it was presented in its previous form at All Hallows College as a DCU award. SpIRE hosts and supports the MA in Dublin and the PhD graduate is a member of the SpIRE Advisory Board. 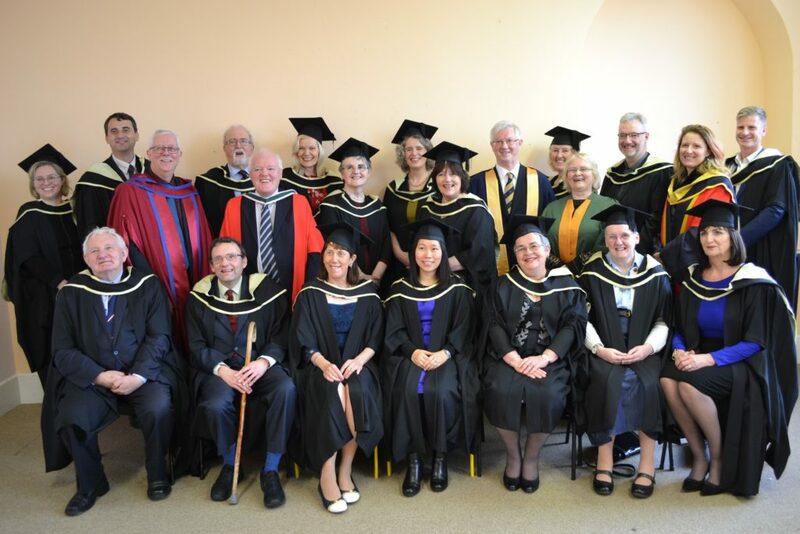 The photo shows 17 of the MA graduates, Noel Keating, who graduated with the PhD, Prof. Michael Howlett, Noel’s supervisor and a member of the SpIRE advisory board, Dr. Michael O’Sullivan, Director of SpIRE and Programme Leader of the MA, Prof. Bernadette Flanagan, Chair of SpIRE and a member of the MA Leadership Team.and Dr. Noelia Molina, a member of the SpIRE Advisory Board and of the MA faculty team.